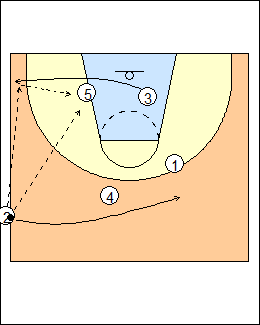 3 cuts off 5, the basic play is to get the ball into the post, either directly or from the corner. 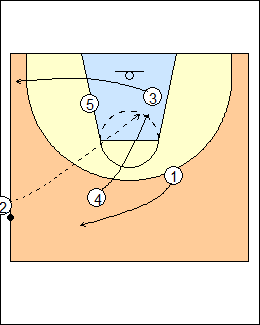 If 5 is fronted, look for a lob pass from 2 or 3. 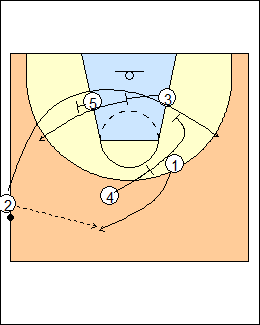 See sideline Duke series (regular 4). If those passes aren't available, 1 delays and cuts off 4, the pass can be to the top and flow into offence (here 4 screens for 2). 4 cuts to the ball if 1 is denied. 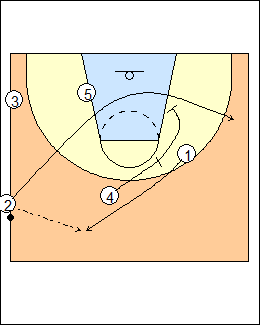 5-3-4 set a triple stagger screen for 2, then 3 exit cuts. 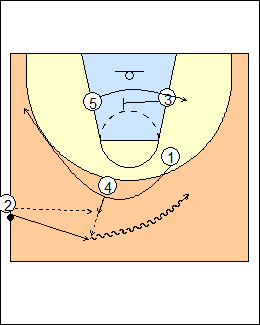 1 curls around 4, who pops for the inbounds pass, 2 follows for a handback and dribbles to the other side as 3 cross-screens for 5. 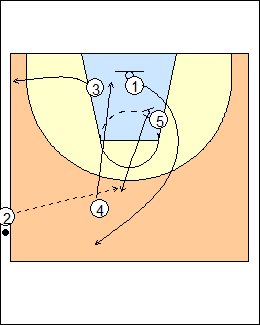 5 screens for 1, 4 slips a screen, 5 breaks high for the inbounds pass and attacks. 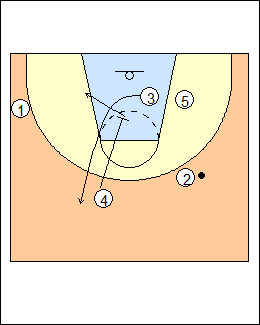 4 cuts to the basket looking for the inbounds pass.